GGB Sisterlocks & Brotherlocks Info! can be started with as little as one and a half inches of new growth! twisting. Shampoo as soon as you like and as often as you like. bottle of Sisterlocks Starter Shampoo. "It's not just about a hairstyle, it's about a lifestyle!" individual look will be unique to you! Just think... A versatile style WITHOUT extensions, chemical or thermal damage! Now you DO have a choice! 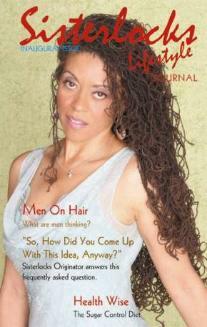 So... "Come Home To Sisterlocks™!" Call 704.865.1228 for your FREE information consultation, today.